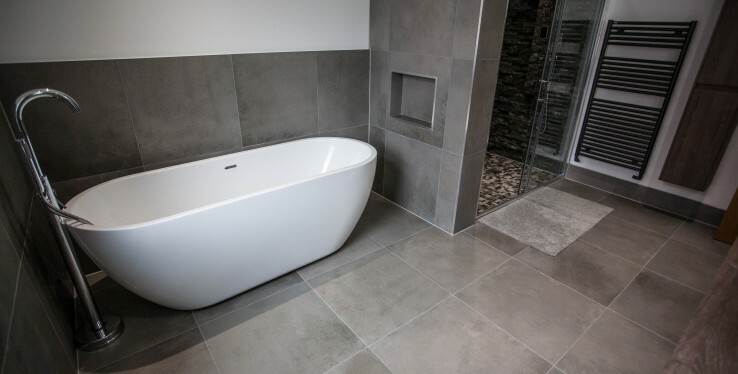 Mr Naseem enlisted the help of Real Stone & Tile to transform several bathrooms in his newly built, family home. The property, based on Hale Road in Hale Barns has a large master en suite featuring a walk in shower, his and hers sinks and stunning bath. Real Stone & Tile also refurbished five en suite bathrooms over three floors of the property. A selection of tiles were chosen, including; Cisa Concreta Tortora, Cisa Concenreta Fango, Cisa Reload Stone, Forward Grey, Forward Sand and Brick.